Multiple reports hit the web today suggesting Sony is working on a virtual reality headset for the PlayStation 4. Sources claim the device borrows from the Oculus Rift in terms of functionality and is already undergoing internal testing with upcoming PS4 titles. 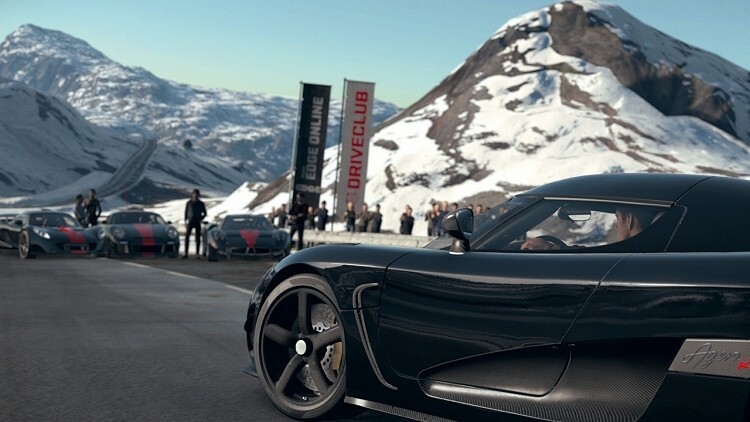 Sources say the device is currently being tested with DriveClub, Sony’s racing simulator and one of several PS4 launch titles. With the headset, gamers would be able to freely look around in a car’s cockpit. The initial idea was to unveil the headset at Gamescom but those plans were scrapped at the last minute. Part of the problem appears to lie in how to market the device. Should it be sold as a must-have hardware accessory that makes it stand apart from the Xbox One or would it be best to push it as a basic gaming enhancement? We are hearing the headset resembles Sony’s 3D HMZ headset, a 3D viewfinder that was first revealed in January 2011 and shown at last year’s Tokyo Game Show. Although it was some three ounces lighter than the HMZ-T1 shown the year before, The Verge found the unit still wasn’t terribly comfortable to wear and the $900 price tag didn’t help matters much either. When we might actually see the headset publically reminds unknown, however, as some say it will be shown at this month’s Tokyo Game Show while others suggest it won’t be revealed until sometime next year.